So, while this certainly won't be as content packed as our beloved Otter Oddities, it was an exciting sight to me as a dedicated advocate of green initiatives. 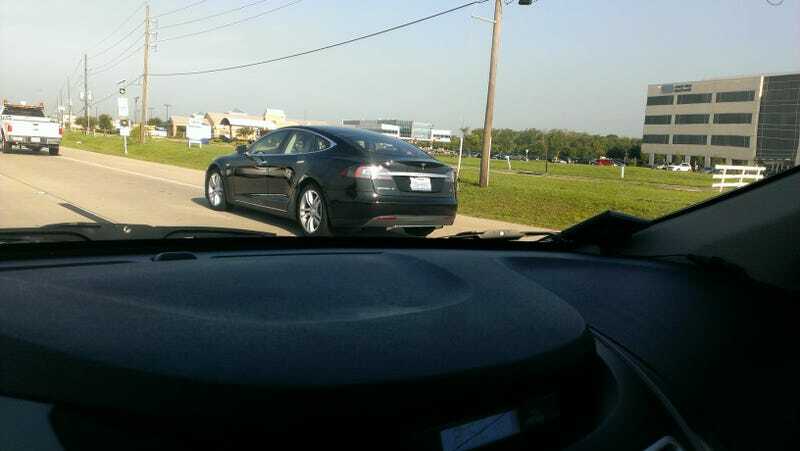 I spotted my first Tesla on the drive to the office today! I was a huge fan of the EV1 initiative, and while not fully affordable to the average middle class citizen yet, I love to see the viability being proven by sights like this.